Retails for around $3.99 to $6.99CAN. Most of the time I can only get Color Club at Winners in Canada but a local independent store opened up in my mail that carries they limited edition shades i was able to pick up the month of November. 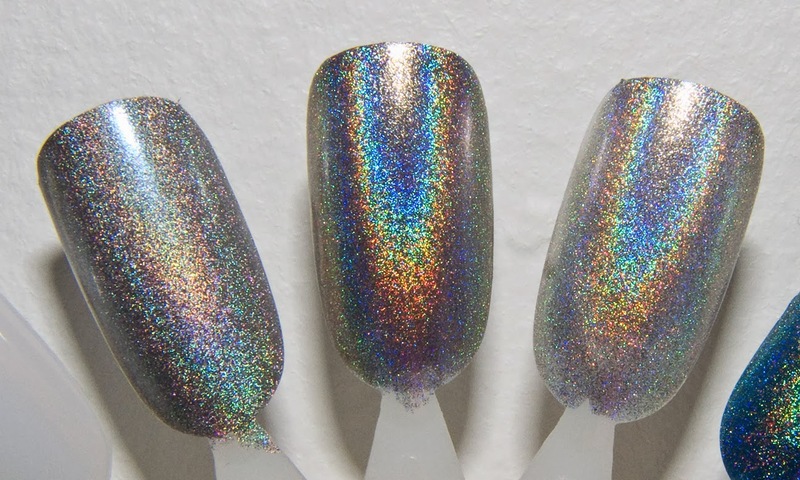 The original holographic polish like Worth the Risque and Revvvolution that I own are a softer almost submerged holo shimmer to them in the base. The new collection has a strong exposed shimmer and I'm thinking the base for these are clear. These polishes really only need 2 coats at third coat makes the shade opaque, but the finish is about the same in two coats. 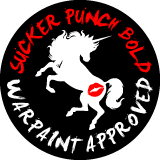 Kismet is a cool green tone yellow gold shade with the holo rainbow. Over The Moon is a saturated sea blue with the holo rainbow. Harp On It is a true holo rainbow on a silver base. 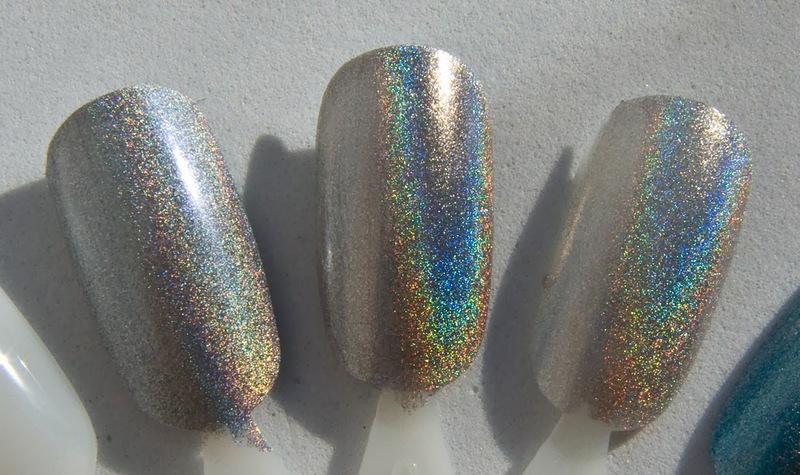 Worth the Risque is a smokey holo rainbow on a silver base. Wear: About 4 days on my fingers on it's own without a base or top coat. Rather then chip these has the tendency to peel. If you can still find these then grab them!!! 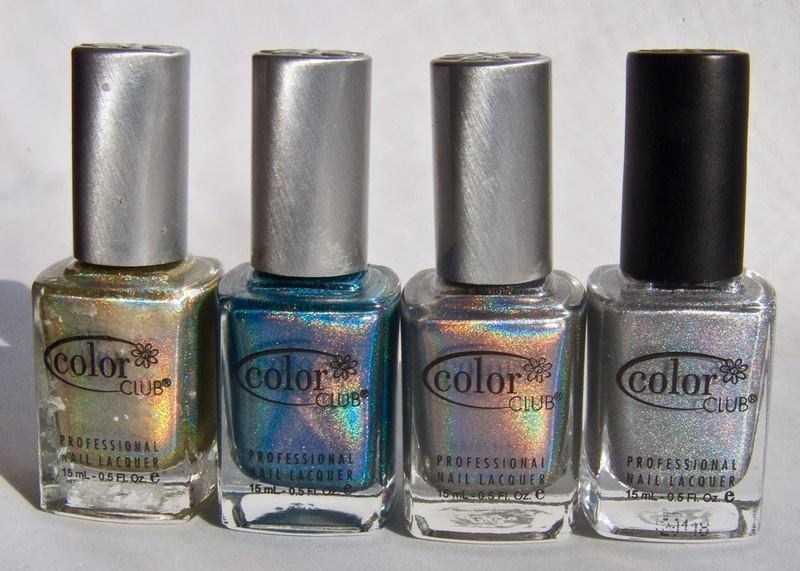 There is a lot of holographic nail polish on the market but these are the cheapest you can get.